I recently had the pleasure of working on a photo studio project for my sister-in-law and her husband. 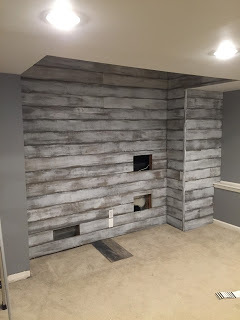 They are converting a portion of their home into a photo studio and asked me if I would be willing to create a feature wall in it. The concept was pretty straight forward. They wanted the old barn wood look with two barn doors as the feature. 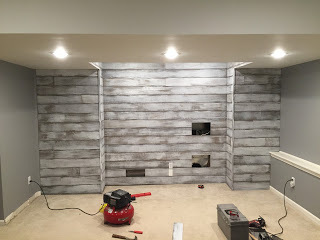 But instead of using barn wood, we decided to get some 1/4″ plywood and create planks. The picture below shows all of the planks that I cut. 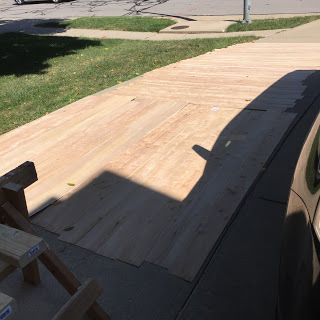 They are laid out in the driveway so that I can beat them up a bit to get that aged look. 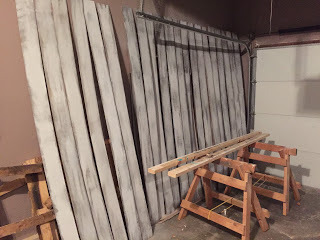 The idea was to stain them gray and then go over them with white paint to create a bit of a distressed look. 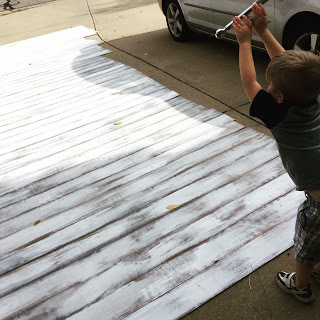 My helper beating up the boards. 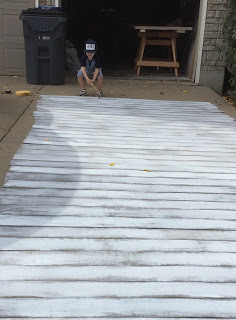 After the boards were painted and stained, it was just a matter of cutting them to length and installing. 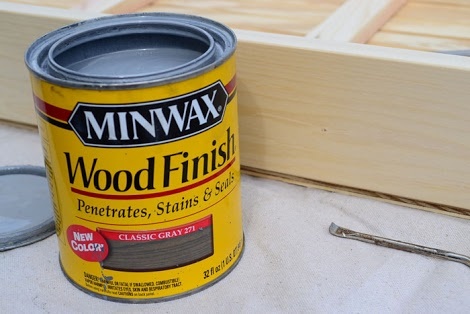 I used a couple of nickles between boards to get proper spacing. And there you have it! I noticed in this picture that the left most wall is not covered yet but in fact that was done as well. Next time I will show you the barn doors that are now the focal point of this wall!